The Devonshire Association’s 157th Annual Conference and AGM will be held at the The Eagle House Hotel and the Town Hall in Launceston, Cornwall from Friday 31 May to Sunday 2 June 2019. The printed programme and booking form for the Conference will be included with the Spring edition of DA News, as usual. A printable copy is also available here. Non-members of the Association are welcome to attend all events (subject to pre-booking and paying the appropriate charges), but will not be entitled to speak or vote at the AGM. 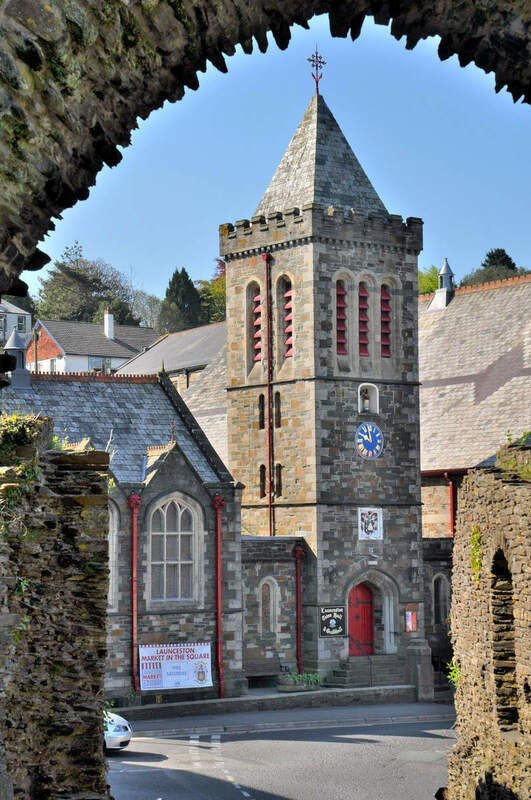 It is unusual, though not without precedent, for The Devonshire Association to venture beyond the county boundary for its Annual Conference and AGM and there are several reasons why Launceston promises to be a venue of unusual interest for us. 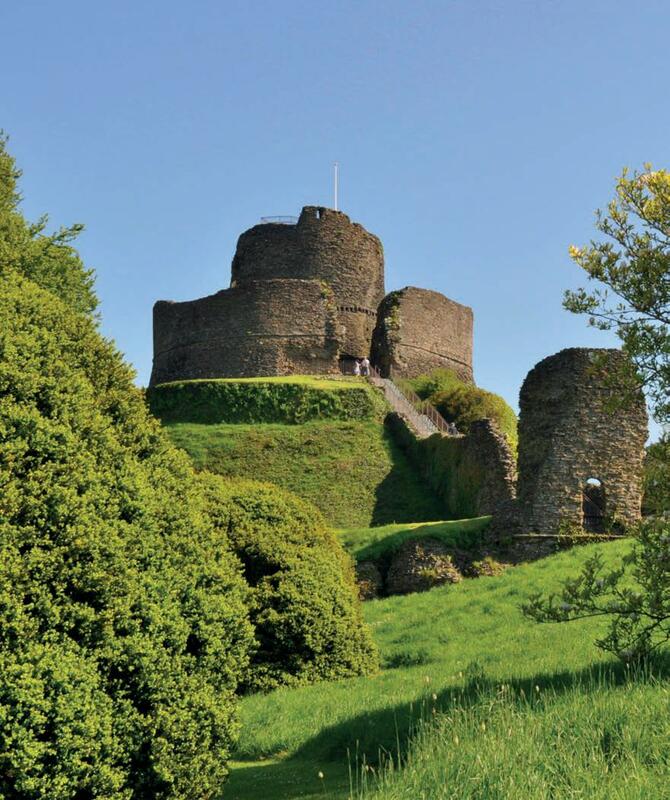 Guarded by its castle, whose motte rises improbably steeply to a round tower high above its tight cluster of streets packed with ancient buildings, it retains the air of an ancient border town which was the land gateway from Devon to medieval Cornwall. For all the distinctiveness of the two counties, the connections between Devon and Cornwall are profound, not least that Cornwall was part of the Diocese of Exeter until the formation of the see of Truro in 1876. 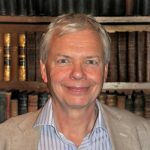 Our incoming President, John Allan, has done much to chronicle the medieval links between the Exeter Cathedral workshop and Launceston Priory, the largest and wealthiest in Cornwall at the Dissolution in 1539, and he will be leading a visit to the Priory site. Our Public Lecturer, Peter Herring, is going to explore the interrelationship of the two moors, Dartmoor and Bodmin Moor. And our explorations will include a visit to Trecarrell to see the house built by Henry Trecarrell who was responsible for the astonishingly rich decoration [in granite!] of the parish church of St Mary Magdalene. All this, and so much more. Do join us for all, or any part, of our three days – we can promise you will enjoy good company as well as all the other delights. All events on Friday 31st May and Saturday 1st June (including the Public Lecture) will take place in Launceston Town Hall, PL15 7AR, a reasonably level 5-minute walk from The Eagle House Hotel. There is limited parking available in the private guest car park immediately opposite The Eagle House Hotel. A 24-hour multi-storey car park is located at Westgate Street, close to Launceston Town Hall, PL15 7AR. Other car parks are located at Castle Street, Cattle Market, Pannier Market, Walkhouse and Race Hill. 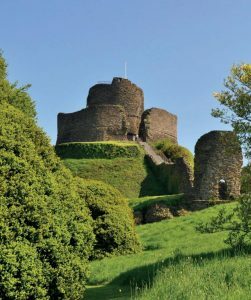 An excellent booklet “The Launceston Town Trail” which includes a map of the town can be obtained from the Tourist Information Centre at White Hart Arcade, Launceston, PL15 8AA – telephone: 01566 772321, email: info@launceston.co.uk. The curator of the Lawrence House Museum, Mr W. R. Jackson, has kindly agreed that the museum will remain open for us until 5 pm on the Friday evening. Anyone visiting should make themselves known as DA members to the staff on duty. Additionally, although it is not normally open at weekends, the museum will be open by special arrangement on Sunday morning for our visit (see below). These will be presented (or summarised) in a session chaired by Professor Malcolm Hart on Saturday morning. This is a provisional list which we hope will be included in Volume 151 (2019) of the Report and Transactions. There will be a choice of visits on Sunday 2nd June. 10:00 Visit to the Lawrence House Museum. 14:00 A visit to Treguddick Manor for an introduction to the English Spirit distillery and tastings of their spirits. As usual the Sections have been invited to submit reports on their specialist interest related to the area around the conference’s location. These will be published in the Spring issue of DA News and will be presented at the conference on Friday afternoon. The Association is greatly indebted to Mrs Diana Sutherland for invaluable help and advice in connection with the arrangements for this year’s Annual Conference. All photos on this page are by Antony T. Buller except where stated. Conditions of reuse are here.